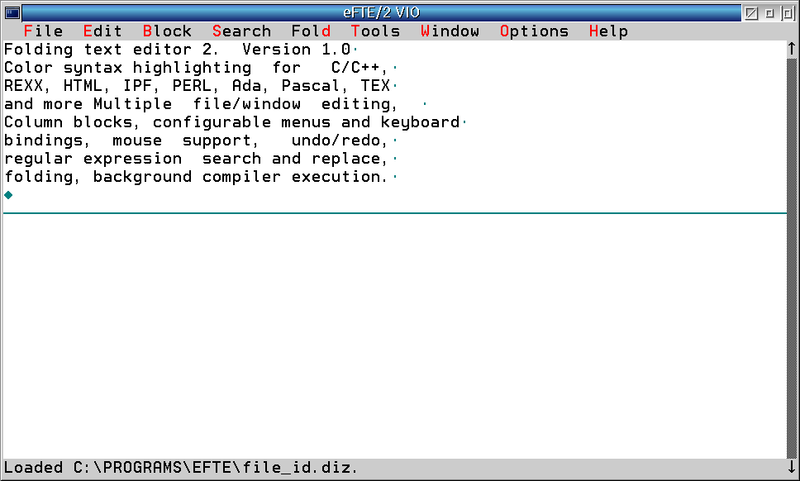 The "Enhanced Folding Text Editor 2" (eFTE2 or eFTE/2) is a feature-packed text editor with syntax highlighting available both in PM and VIO versions for OS/2-based systems, and also for Win32 and Linux. 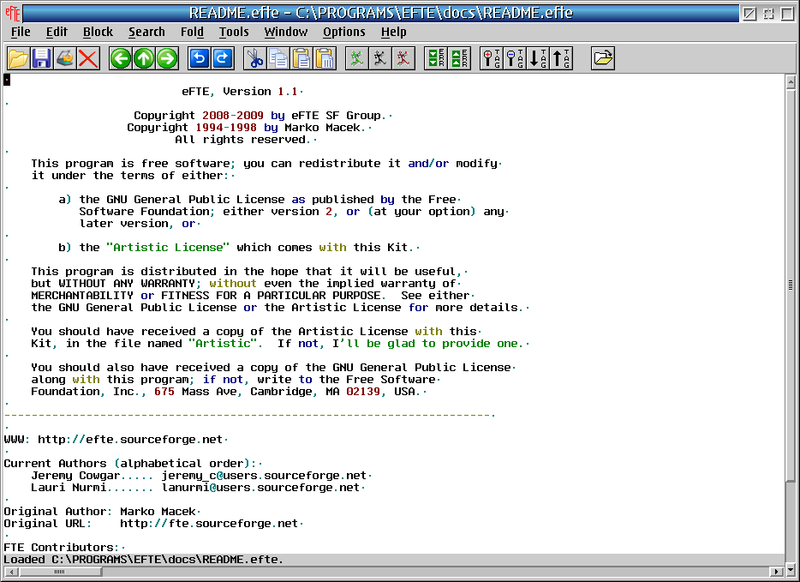 Open source under the GNU GPL license or the Artistic License. If anyone was left out, it was unintentional. Please drop a note at the mailing lists. As of November, 2017, two mailing lists have been created for eFTE2: one for users, and one for developers. Send email to: efte-user-on AT 2rosenthals DOT com and reply to the confirmation email. Send email to: efte-dev-on AT 2rosenthals DOT com and reply to the confirmation email.